Meet illuminated elegance with Hula Illumination. 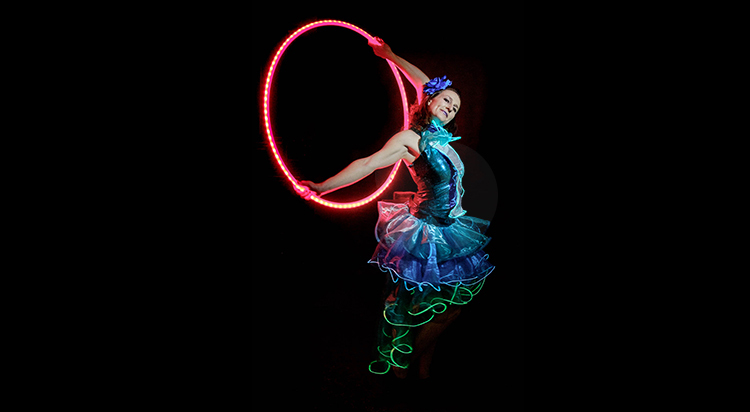 Smooth hula hoop moves with the latest high-tech glowing hula hoops make this act is a show stopper. 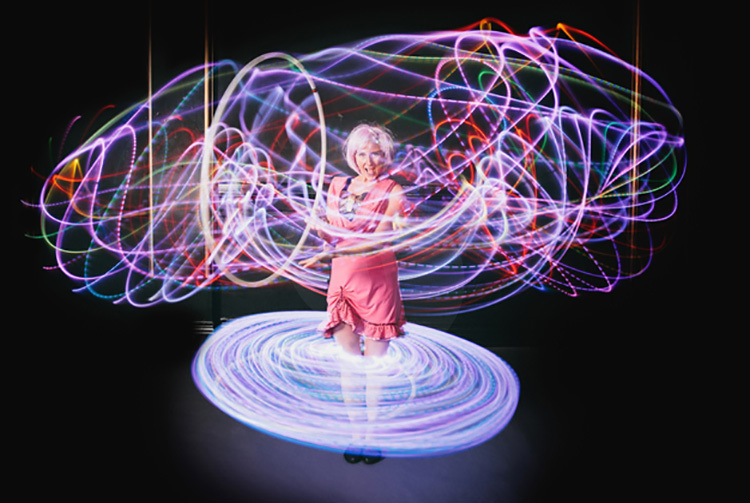 Featuring a multi-skilled female circus performer renowned for her stylish hula hoop moves and diverse skills, Hula Illumination has performed in over 20 countries, in five languages. She brings a professionalism, style and skill to her act making this show not only completely unique, but utterly unforgettable.